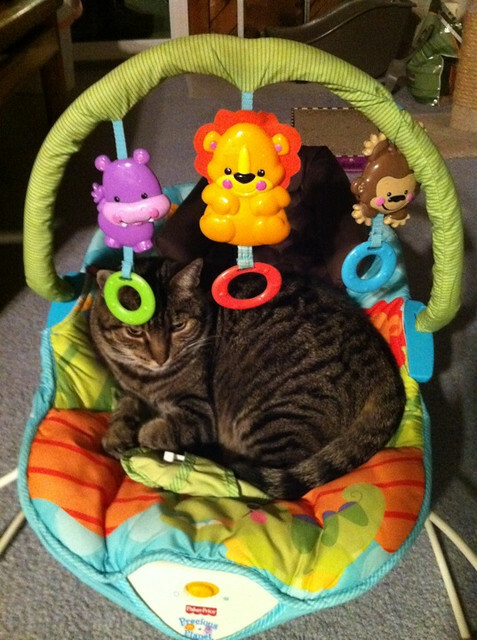 Butters is having fun with all the baby stuff to say the least. He likes “change” in his environment like a new box suddenly appearing, or a book sitting on the floor, so the new furniture and toys are just calling his name! His favorite place by far is the bouncer seat! So snuggly! 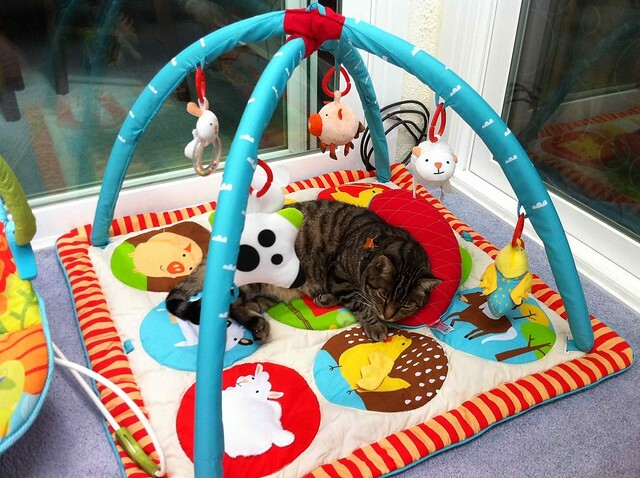 Not to mention the activity mat that’s usually sitting right next to it. He also likes the glider. 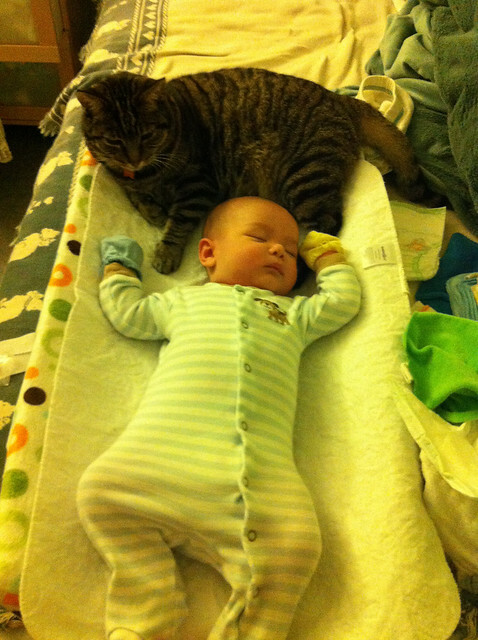 He had been taking naps on it since before the baby was here, but once Vincent did arrive, he stopped sitting on it until recently when he rediscovered how comfy it was. 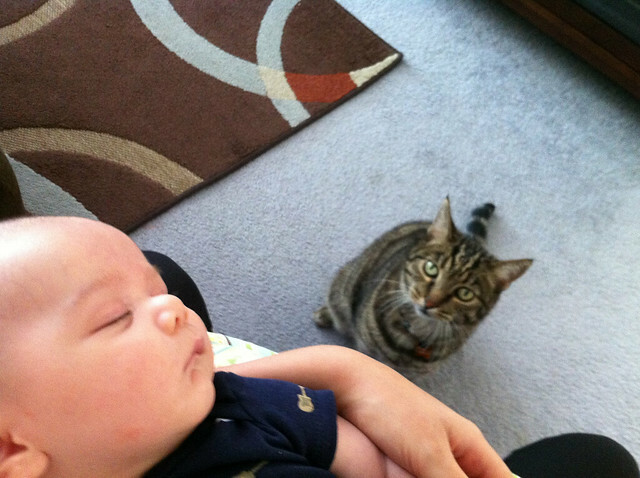 When i took this photo i already had Vince in my hand to nurse, and he would not budge from the glider seat! So i said fine, and sat down, and Butters simply scooched over a bit so he was squished under the boppy. Since i’ve been home all day every day, he likes to “cry” for his dinner at the appropriate hour of 2:30pm. Sometimes i give in…. 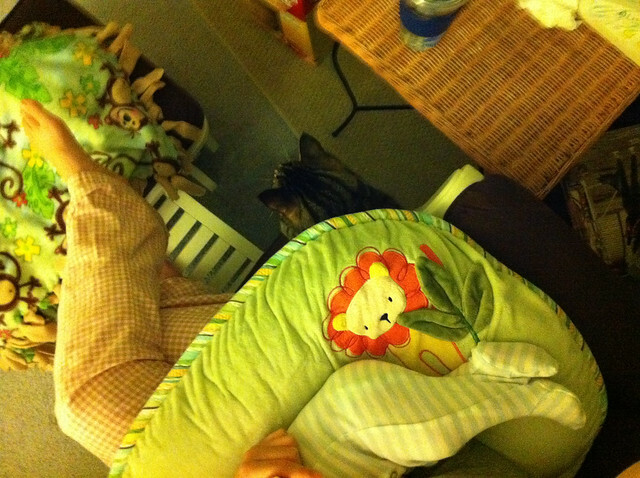 because it will be the only thing to shut him up and a sleeping baby doesn’t need to be awaken by a crying kitty!